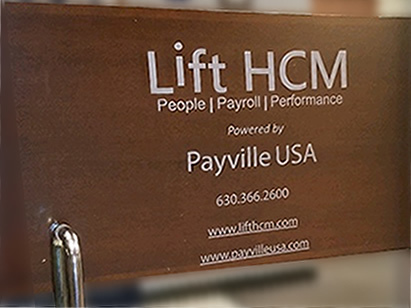 Based just west of Chicago and founded by our parent company Payville USA, Lift HCM continues the Payville USA tradition of offering scalable, innovative solutions supported by a dedicated and knowledgeable team of service professionals. Providing our revolutionary SaaS technology and expert Human Capital Management services, Lift HCM enables organizations to manage the entire employee life cycle all with one database. From serving hospitality to manufacturing, Lift HCM leadership offers over 30 years of industry expertise. We understand what is the most important asset to any organization. Your people. From payroll, time, human resources and benefits, Lift HCM provides services to meet the needs of any sized organization. Our team of experts will support your business with services that will impact your company today and offer custom solutions as you grow. LiFT HCM puts the "human" back in human resources. Here, cutting-edge technology and real customer service come together to create a partnership that’s all about helping people. That’s why we have real experts available to answer your questions, whether its on the other end of the phone or the other side of a chat window. We are committed to delivering the services you need to best serve your employees and your bottom line. With innovative, state of the art solutions, we have the tools you need for every part of the employment cycle.